Product design and copywriting for a multimedia studio. 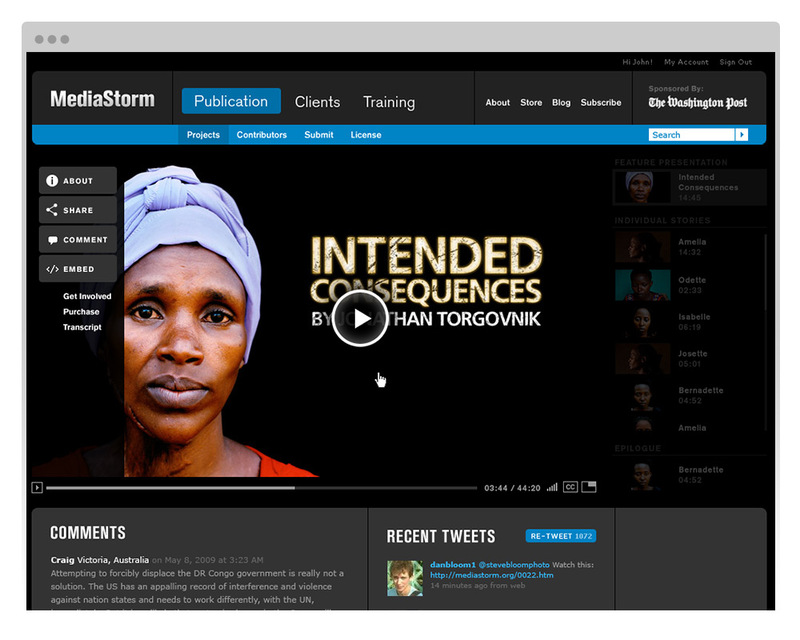 MediaStorm is a multimedia studio from Brooklyn that creates cinematic narratives. Their work mixes still photos, video, audio, and information graphics to tell emotionally charged stories. 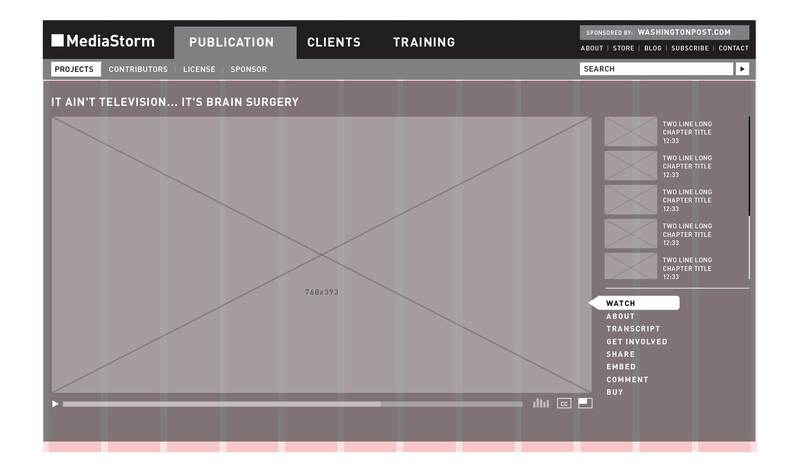 Keith’s job was to re–architect and design their existing site, as well as design an embeddable video player. 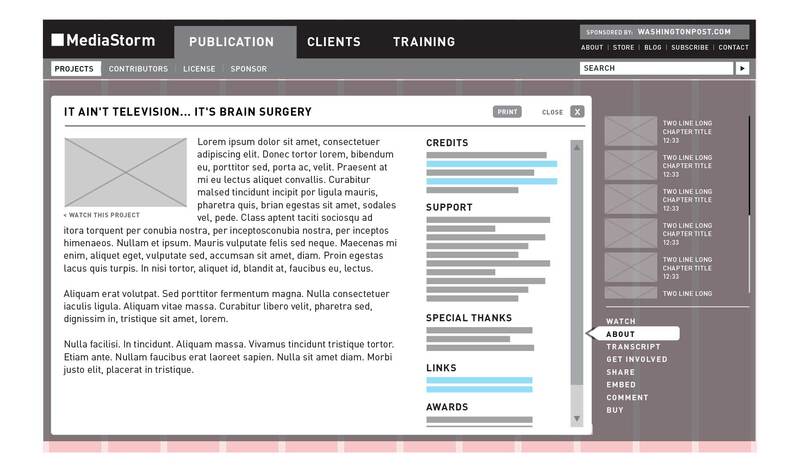 His role on this project ran the gamut from wireframing, architecture, and copywriting, down to design details. 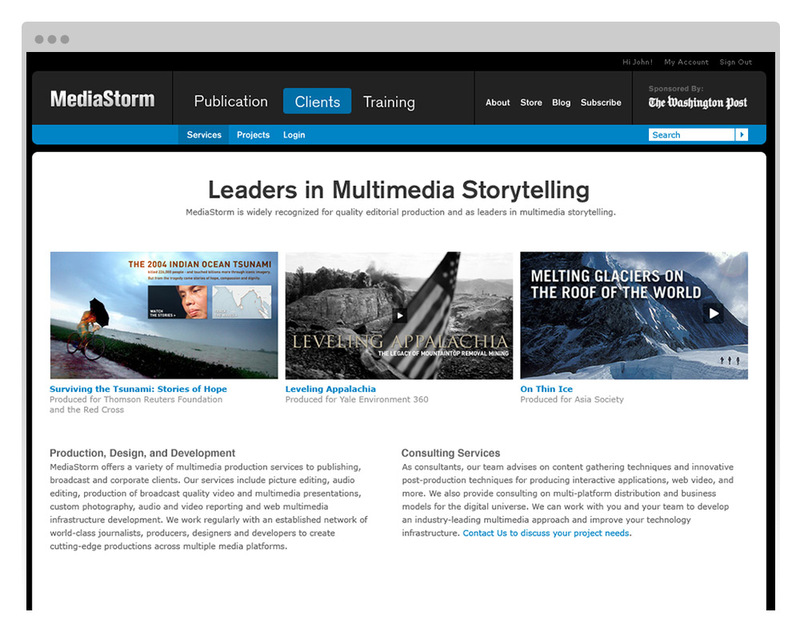 The main business goal for MediaStorm was to provide a better way to discover and view their amazing documentaries. Keith architected a new video player that was easy to use, yet contained some powerful features for viewers. 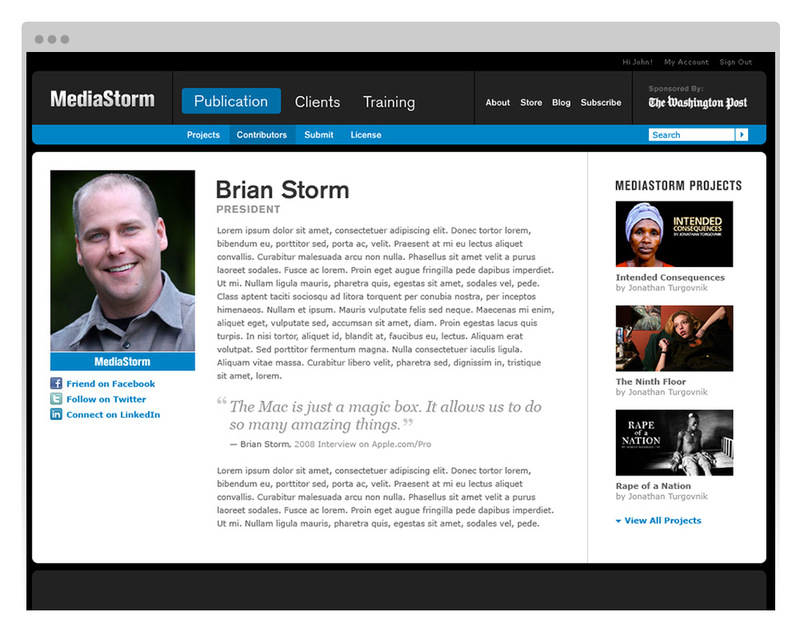 He started by defining the user experience in wireframe form, and iterated through several rounds of these with the MediaStorm team. 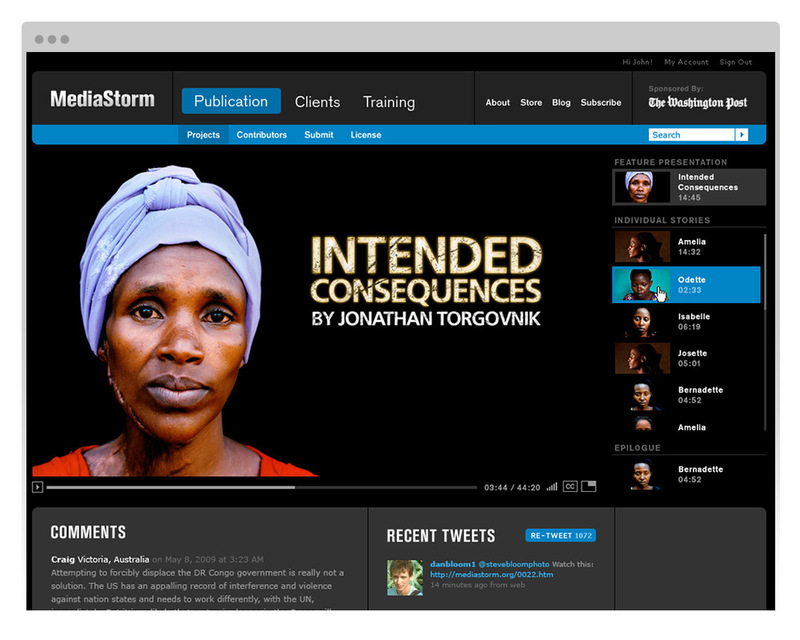 MediaStorm had additional business goals for the player – including sharing, reading more information about each film, embedding on other websites, and purchasing related content such as DVDs. The design that Keith and the team arrived at allowed for these complex features to be contained within the player, while still keeping the viewing experience simple, clean, and easy to use. Displaying the secondary menu on hover allowed us to achieve these goals. The final result was a player that packed a lot into a small space. 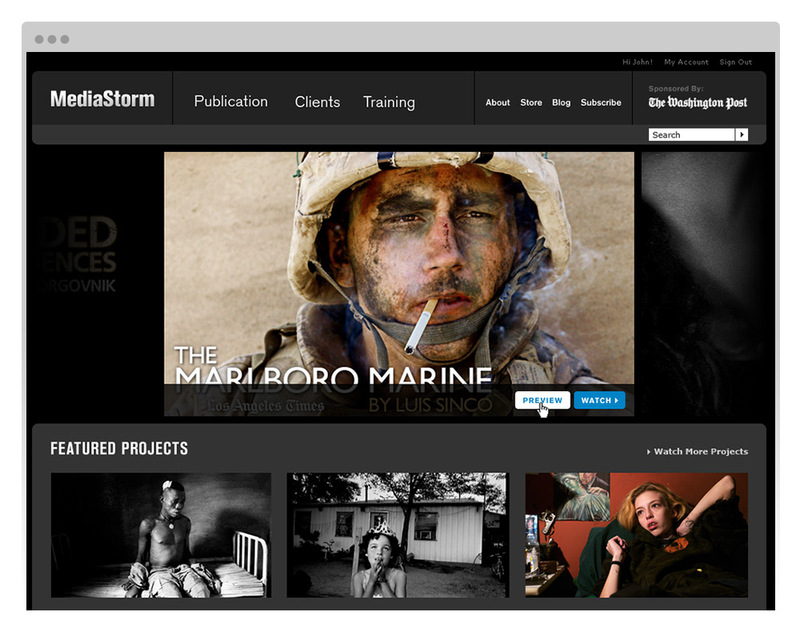 MediaStorm also pursues its own client work, and Keith’s job was to showcase this as a secondary portfolio on the new website. 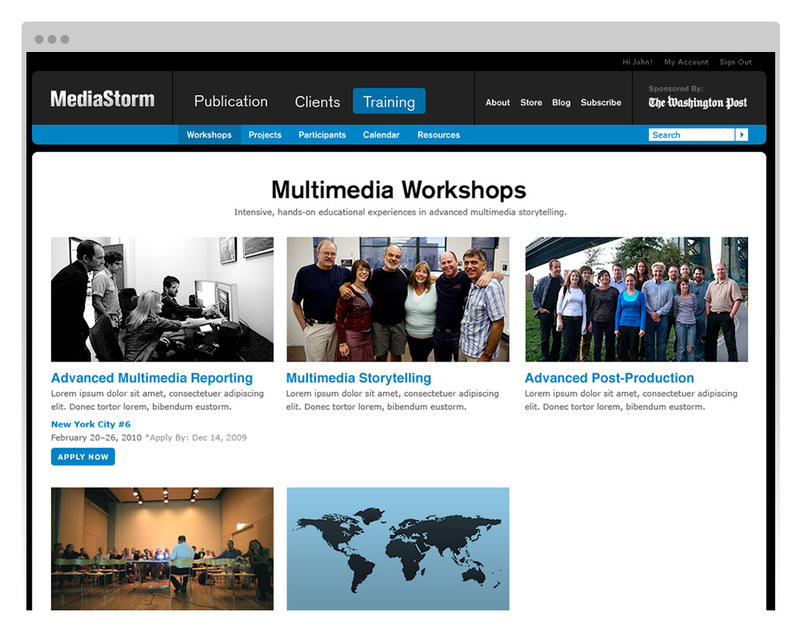 The training that MediaStorm provides is a third level of information that needed to be brought to viewer’s attention – many clients and viewers were not aware of the workshops MediaStorm produces. 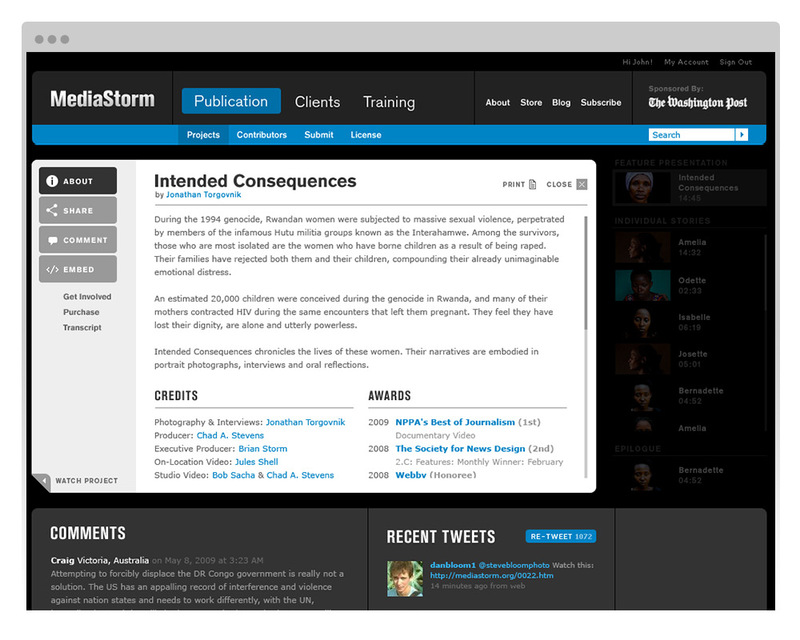 MediaStorm contributors gained their own profiles on the new site, allowing viewers to find out which films they contributed to.